People who use coworking spaces are more productive and feel happier than those who work from home, according to new research. With technology making it easier than ever to work from home, more people are choosing to go freelance or work remotely. But while this has its advantages, including not having to face a long daily commute, people who work from home or in coffee shops are more likely to feel lonely and isolated. Without other professionals around to bounce ideas off, or even just chat to while getting a drink, working alone can sometimes be a depressing experience. Research has shown that coworking can help combat this, allowing people the flexibility of working close to home, but in a social environment with other like-minded people. A study carried out by Gretchen Spreitzer and Lyndon Garrett of the University of Michigan Ross School of Business shows people who use coworking spaces are more productive and feel happier. The open design of coworking spaces allow people both the opportunity to socialise with others and the space and privacy to get their work done. The CEO of Yahoo, Marissa Mayer, famously brought all the internet giant’s remote workers back into the office, saying she believed they needed to be collaborating and interacting with others. Dr Spreitzer, who is an expert in how businesses can help people thrive in the workplace, says: “If you give people freedom but not a mechanism to interact with each other, they'll just be in their own little world doing their own task. “So Marissa Mayer was right, in a sense. Without interaction, you're going to have lower productivity and less collaboration. Mr Garrett, a doctoral student at Michigan Ross, adds: “As social groups like clubs and bowling leagues lose members, work organisations really become the main area of life where people feel a part of something. But companies aren't used to filling that need. Our network of coworking spaces called The Work Lounge allow workers to get the best of both worlds and you can use the space as much or as little as you like. You also have the option of either paying per hour or paying a monthly fee. 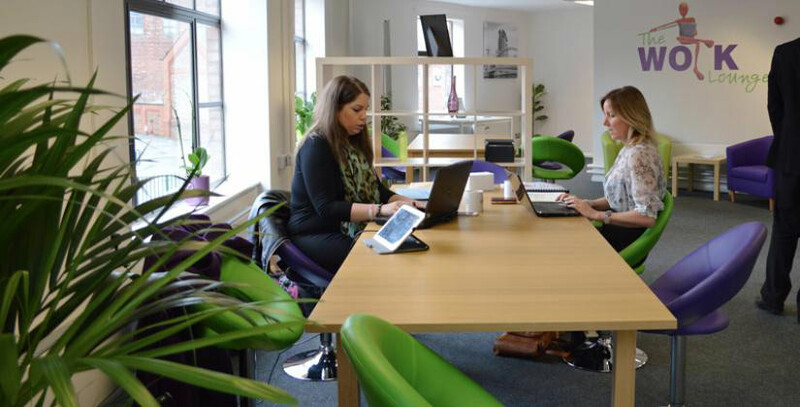 Our Work Lounges have a range of seating and desks to suit different working styles as well as a number of perks including free high speed broadband, free hot drinks and free parking, where available. At the moment we have coworking spaces in Letchworth, Brixton and Manchester and are planning to launch a further three this year.